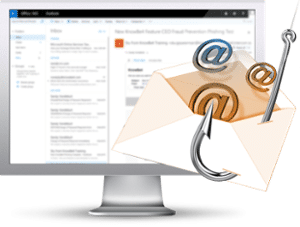 Free Phishing Security Test - Symtrex Inc.
Did you know that 91% of successful data breaches started with a spear phishing attack? Find out what percentage of your employees are Phish-prone™ with your free phishing security test. Over the last few years, thousand of organizations in the have started to phish their own users. IT pros have realized that doing this is urgently needed as an additional security layer. Today, phishing your own users is just as important as having antivirus and a firewall. Why? If you don’t do it yourself, the bad guys will. Take your first step now to significantly improve your organization’s defenses against cybercrime. You will be able to immediately start your Free Phishing Security Test for up to 100 users. No need to talk to anyone. The phish-prone percentage is usually higher than you expect. Find out now and get excellent ammo for more IT security budget.